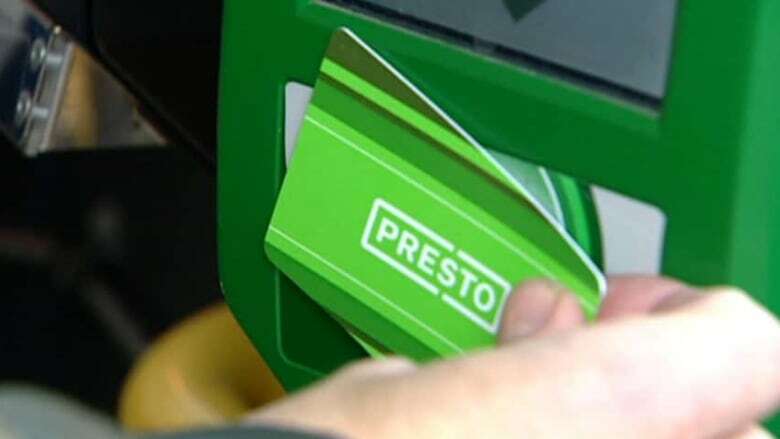 The TTC could save millions of dollars next year with a range of measures, including delaying the roll-out of the long-awaited Presto automated fare system, according to a City of Toronto report released Friday. Originally, the TTC planned to spend $30 million to have the Presto system fully in place by the middle of next year, but delays are expected to push that back further into 2017, the report says. With that delay the TTC would only need to spend $14 million for the Presto program next year, a reduction of $16 million. The staff report to the TTC budget committee also suggests ways the TTC and Wheel-Trans could cut 2.6 per cent, or $15.8 million, from next year's budget, but when annual cost increases are factored in, the transit authority's budget committee would still have to find $172 million in savings. One cost-saver for 2017 is fewer health care claims. The report said based on recent trends the TTC is expecting fewer claims to be submitted, amounting to $10.3 million in savings. In July, city council adopted an across-the-board budget reduction target of 2.6 per cent for all city departments, including the TTC. The report also highlights a major problem for the TTC budget committee. Due to "significant year-over-year budget pressures" the 2017 TTC and Wheel-Trans budget is expected to increase by $215 million. Those pressures include wage increases for staff and $15 million more in energy costs, the report says..
Friday's report to the TTC Budget Committee also laid out other reductions and cost-savings, including a possible $15.4 million draw from the TTC Stabilization Reserve. Those reductions only account for a fraction of the year-over-year increases putting pressure on the 2017 budget. The TTC Budget Committee still has to come up with relief for about $172.6 million in spending increases, of the total $215 million. The report recommended the committee outline a full list of options to address the year-over-year increases when it submits the 2017 budget to the TTC board for approval later this fall. The preliminary 2017 TTC and Wheel-Trans operating budgets are up for discussion at a public meeting at the TTC head office, slated for next Wednesday.